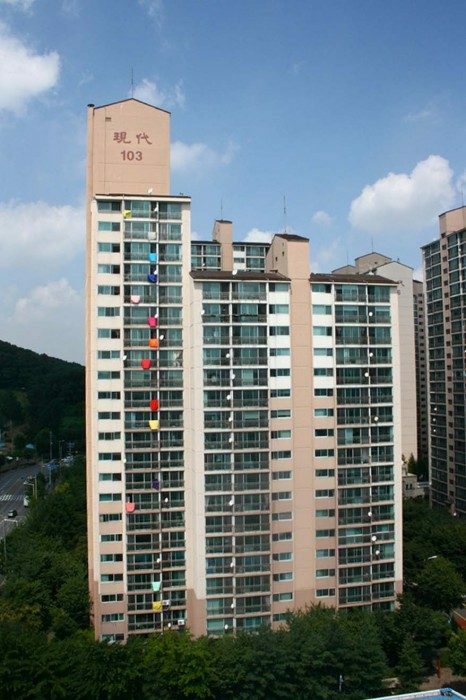 Exercise Colour Arrangement, Ascending Tower 103 is a film documentation of an architectural intervention and performance that the artist made in collaboration with the residents of 103 Hyundai apartment tower and Seoksu Market in Seoul, South Korea. 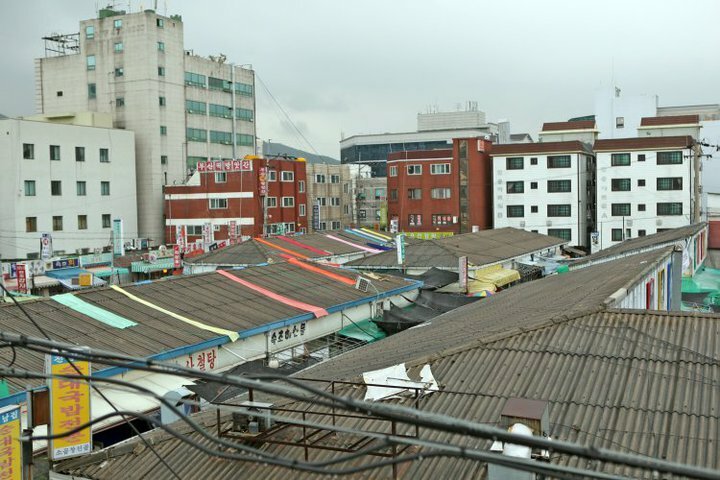 Seoksu Market is one of a few traditional undeveloped areas left in Seoul and as such is a diverse island amongst the homogenous landscape of the surrounding apartments. 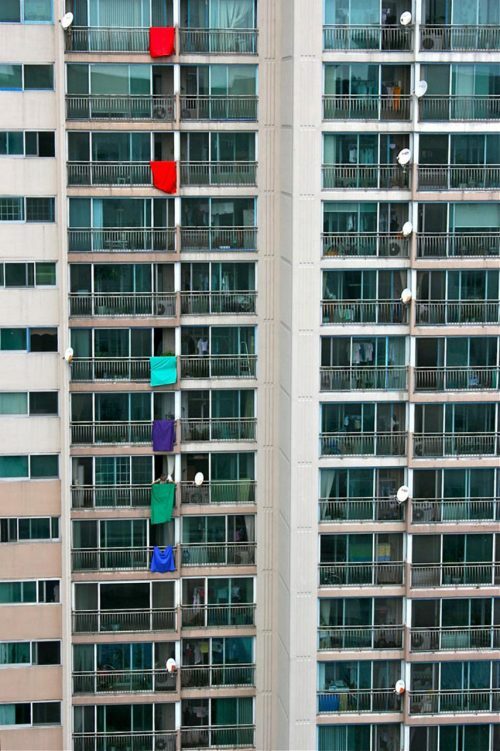 The project aims to address the issues surrounding this rapid urban redevelopment by connecting the horizontal and vertical spaces of the tower block and the market below: This is achieved by installing a temporary colour intervention on the facade of Tower 103, in which residents on every floor hang coloured fabric out on their balcony rail. Inhabitants of the towers selected the colour of their fabric from an edited chart and decided when to display and remove their flag, within a 30minute period. 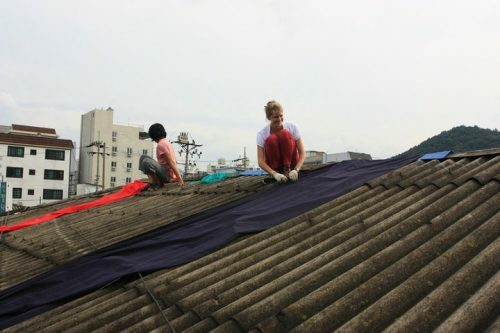 An accompanying sound piece was composed by translating the architectural colour arrangement in to a musical score by assigning musical pitches to the colours of the fabric.Each sound was generated by recording the voices of the Seoksu Market residents singing a colour of their choice that had a predetermined /corresponding musical note. 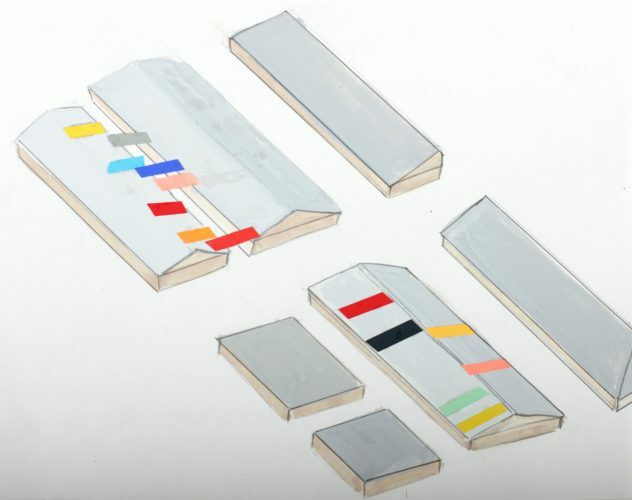 This method follows the same structure as the Schoenberg 12 tone compositional technique.The outcome of this performance relied heavily on the individual participants as well as their synchronised participation as a group. 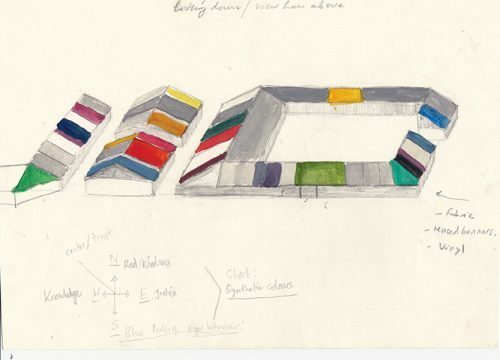 The two groups were invited to make their decisions within the choreographed structures presented to them by the artist and it is this which determines the sonic and aesthetic arrangements within the work.